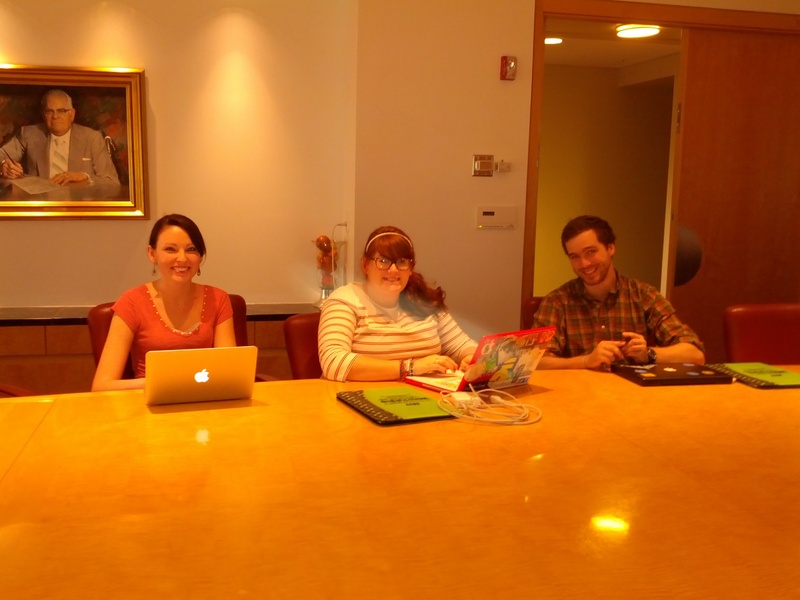 Kiley Neal, Sara Rae Rust, and Kam McBride at the first meeting of the Discovery 2013 Internship, which will give 11 Ball State students the chance to work directly with literary agents, authors, and other publishing professionals. Boo ya! Thanks to a grant from the Discovery Group, I’ve hired 11 Ball State students for internships at this summer’s Midwest Writers Workshop. I want to tell you about it, so mosey on over to The Big Thing to learn more. They will be teaching literary citizenship to others. It’s really amazing. Did you know there’s a writers’ conference in Muncie, Indiana? Thanks to a grant from the Discovery Group, Ball State students can 1.) intern at or 2.) attend this summer’s Midwest Writer’s Workshop, a yearly gathering of agents, editors, publishing professionals, and writers whose mission is to help Midwesterners become published authors. Participants can gain real-world experience and build the kind of credentials that will give them an advantage in their careers. To get this kind of experience as a college student is unusual. To get it as a college student not in New York City but in Muncie, Indiana is amazing. 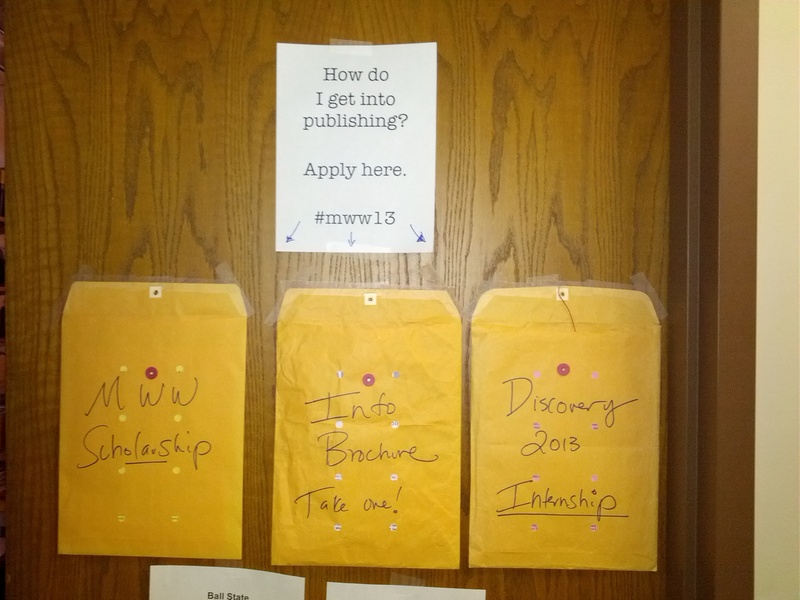 There are up to 10 scholarships available: Find out more here: Midwest Writers Workshop Scholarship. The deadline for applications in Friday, March 29, 2013 at noon. THE DEADLINE HAS PASSED! For more information, please talk to the Project Director, Prof. Cathy Day of the English Department at cday ((at)) bsu *d-o-t* edu. Even if you don’t get a scholarship, you can still register to attend the conference. It’s very affordable. The internships are for ANY Ball State student, regardless of major. The scholarships are for English majors. Graduate students can apply for both of these opportunities. Students graduating May 2013 are eligible. The 5-page writing sample for the scholarships doesn’t have to be a self-contained piece. It can be the first 5 pages of a 10-page story or a 200-page novel. You can also grab applications off her office door, 266 Robert Bell!